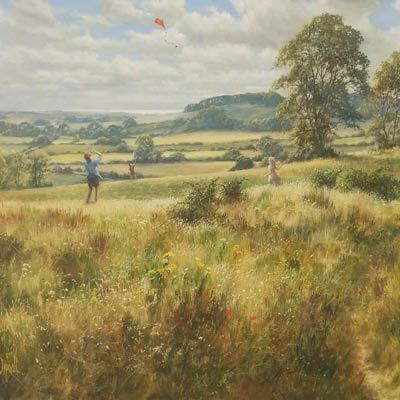 William Burns (1923-2010), a well-known and much admired professional artist and Fellow of the Royal Society of Arts, has works in collections in the UK and overseas. 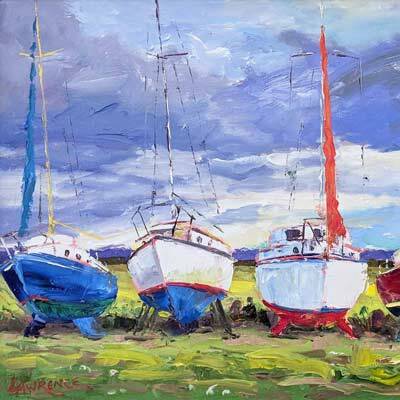 Among a variety of subject matters, he was particularly inspired by the light and shade of the English coast and country, yachts and Thames barges and by ever changing skies and clouds, which he captured in his timeless style of landscape painting. 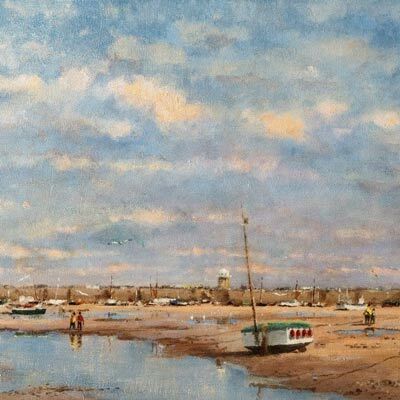 He was influenced by the later East Anglian painters – Priestman, Arnesby Brown and in particular, Edward Seago, who showed him much kindness and encouragement. William Burns briefly studied at the Sheffield College of Art until it was blasted out of existence during the blitz (he was in the building at the time!). Between 1942-45 he helped illustrate the official War Diaries for the North Africa Campaign and was subsequently elected as a member of the Armed Forces Art Society. 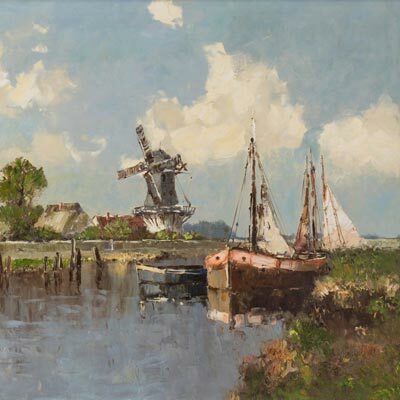 He qualified as an architect and ran a successful practice until the pull of painting eventually played the more important role and he became a fully committed painter of landscapes and coastal scenes. 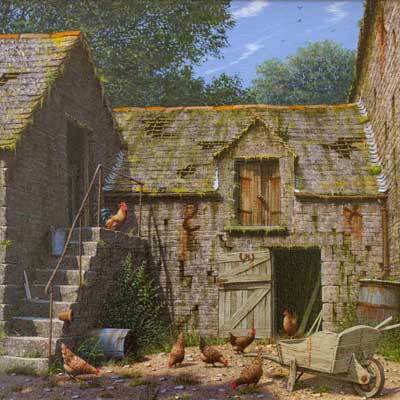 He held one-man shows regularly in the Campbell Gallery, London, and also the Walker Gallery in Harrogate and exhibited in many prestigious London galleries including the Medici Gallery, 20th Century Gallery, The Mall Galleries and the Wykeham Galleries, and galleries outside London including the John Noott Gallery, Broadway, the Ladygate Gallery, Beverley and the Grape Lane Gallery in York.